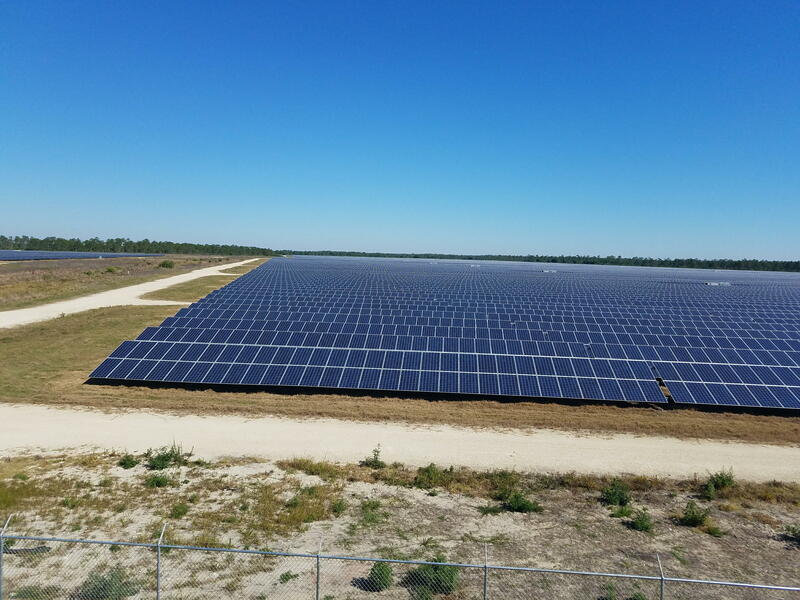 A glimpse of FPL's 440 acre solar field in Punta Gorda. Click here to listen to the radio version. Utility company Florida Power & Light unveiled a new component to their solar field in Punta Gorda for members of the media Friday . FPL is saying it’s one of the biggest of its kind in the country. On a newly built, 35-foot observation tower, you can veiw a vast sea of FPL solar panels in an undeveloped portion of the Babcock Ranch community. The 440 acres of solar panels translates to about "343 thousand panels that are powering the town of Babcock Ranch," said Syd Kitson, former NFL player and current developer of the Babcock Ranch community. "If you go over to our town, you're going to see solar trees," Kitson said. "You're going to see solar panels on top of all of our buildings, we have charging stations." And on the sunny Florida Friday, Babcock and FPL unveiled a new component of their solar project - ten battery storage units. Each one about the size of a school bus. FPL's 10 new large battery storage units. The batteries store the energy generated by the solar plant, so there’s more of a reserve for days when the sun’s not out. Standing in front of one of those bus-sized units, FPL’s Vice President of Development Matt Valle, said with the new batteries in place, this solar plant is a big deal. "It is the largest operating combined solar storage facility in the U.S. right now," he said. Valle said the batteries, in total, cost about $15 million. However, Babcock resident Robin Kinsley said it's still too early to tell if she'll benefit from the cost-saving solar energy promises. "We haven't had enough electric bills and gas bills to really assess that at this point," she said. "We'll be able to see a couple of months down the road." However, Kinsley said she anf her husband moved to the community because of its goal of sustainability. Developer Kitson said this solar operation produces more energy than it can use. "The excess solar energy is going back out into the grid," he said. " So it powers US first and what's left over then goes into the grid. Still, if the solar field takes up 440 acres, is energy conservation coming at the cost of environmental conservation? Developer Kitson said "not at all." "If you actually come out here, a lot of animals are using it as a habitat and it's been remarkable to see the wildlife that actually has been in and out through these panels using it in ways that we hadn't expected," he said. In fact, FPL’s Valle said in some instances, they’ve installed solar panels in orange groves ravaged by citrus greening. At this point, Babcock Ranch still relies on the power grid. But Kitson said the goal is to be totally reliant on solar power as an example for other Florida neighborhoods to follow. Developers Kitson and Partners unveiled Babcock Ranch in Charlotte County today. It will be the first town in the nation primarily powered by solar energy, along with a few other surprises. Florida Power and Light broke ground on three new solar power plants Thursday. 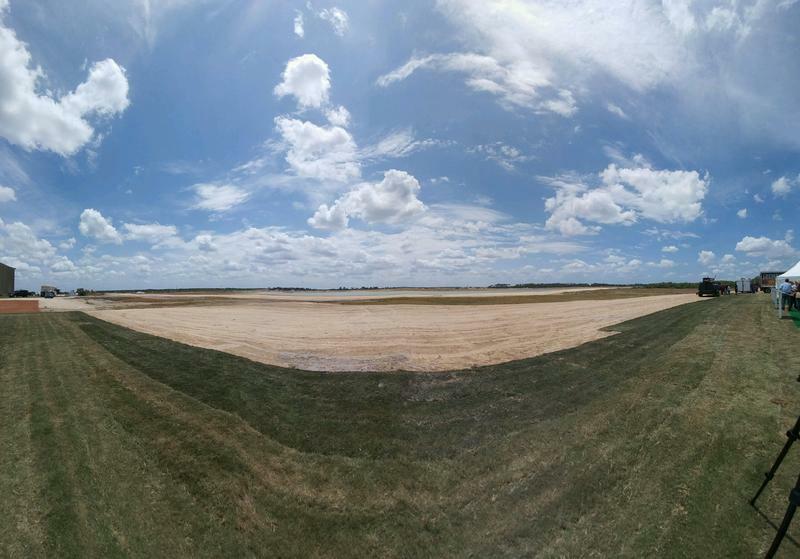 The ceremony was held on the future site of the FPL Manatee Solar Energy Center. The other sites include FPL Citrus Solar Energy Center in DeSoto County and the FPL Babcock Ranch Solar Energy Center in Charlotte County. The three new, community-sized solar plants will be among the largest in the Eastern United States. 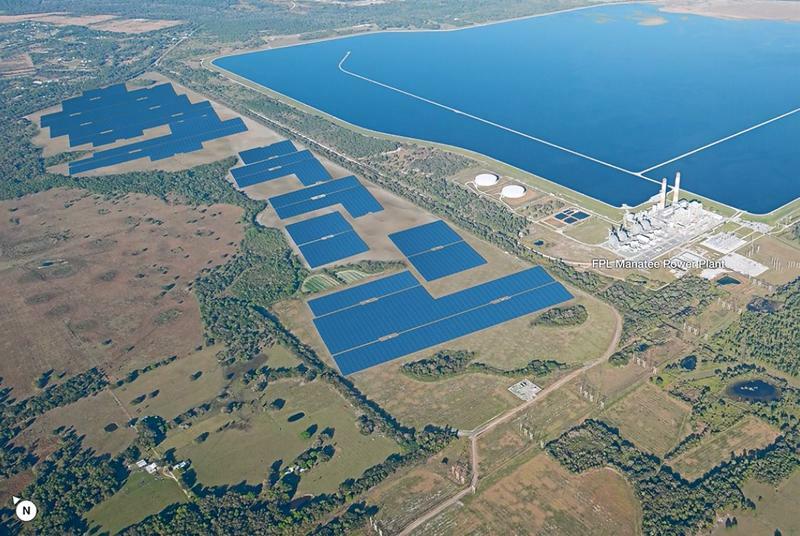 FPL will install more than one million solar panels within these large-scale solar energy centers. 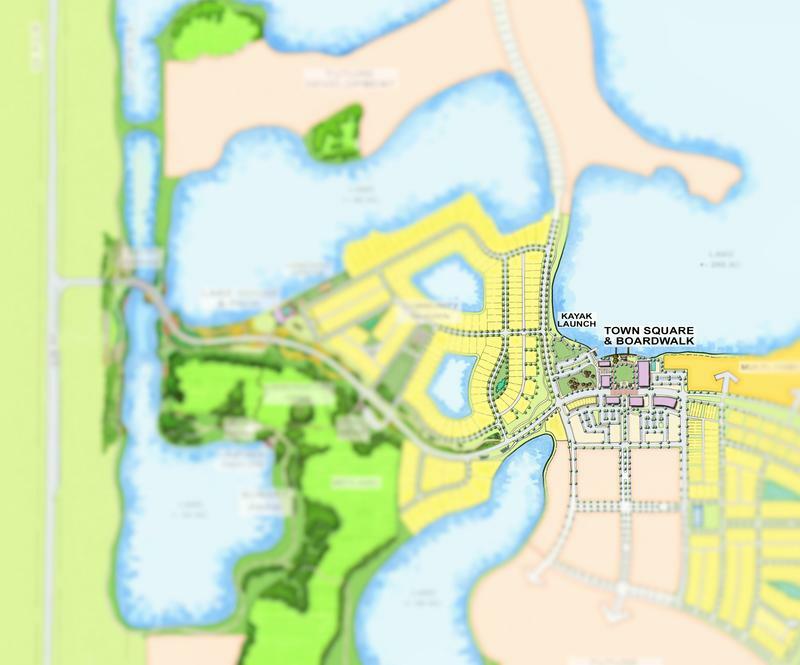 Construction is underway for a solar-powered town in Southwest Florida. Babcock Ranch will cross Lee and Charlotte Counties. It could be home to some Floridians by 2017. Developer Syd Kitson said the goal for Babcock Ranch is to be the most sustainable town in the United States.